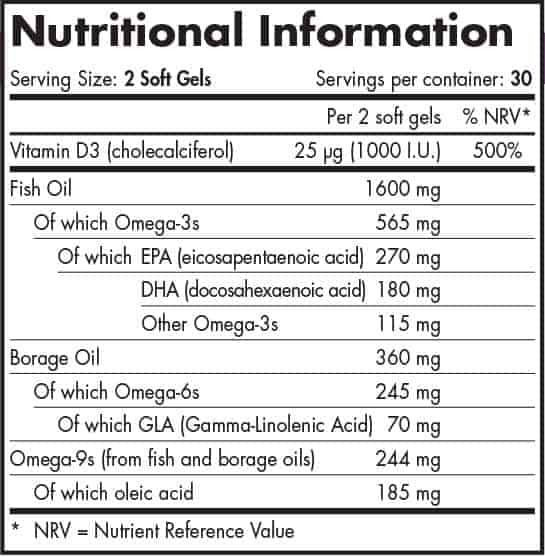 Nordic Naturals Complete Omega-3 6 9 with Vitamin D3 provides a full spectrum of essential fatty acids to support a healthy heart, brain function and joint health. The Omega 6 comes from borage oil which provides a high dose of GLA to support hormone function and aid in the reduction of symptoms associated with PMS. Borage oil can also promote healthy skin and joints. 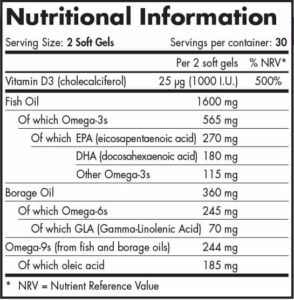 Vitamin D3 is also added to support bone, immune and mental health.Lab tested for purity and freshness. Triglyceride form for better absorption.